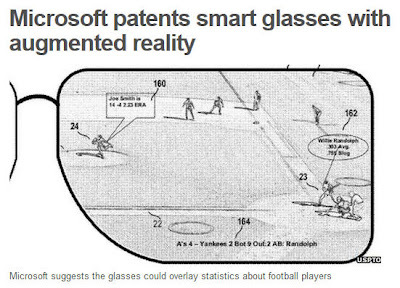 Just read this on BBC News about how Microsoft has just patented smart glasses. 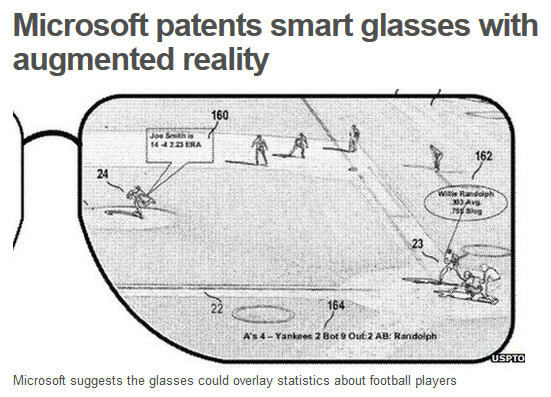 Strange though, the image shows people playing baseball but the caption indicates that it's about football... Two quite different sports to get confused with. Probably another case of "island mentality". Anything that isn't strictly British is just ignored.